If you’ve ever started a workout regimen, and taken that slightly optimistic year-long gym membership, chances are you’ve also been tempted to buy into all of the paraphernalia that goes along with that #fitness lifestyle. This includes everything from protein powders to cocktails of colored capsules, which promise increased fat burning, muscle building, and even ‘hormonal manipulation.’ The only thing is, this paraphernalia isn’t as effective as we think. Fitness supplements fall under pre- and post-workout categories; pre-workout supplements are supposed to boost your energy and endurance, and post-workout ones help build muscle and aid recovery from the stress of intense exercise. Protein bars, ice baths, and even infrared pyjamasthat promise to restore muscle by “return[ing] infrared energy to your body, boosting localized blood flow and upping the amount of oxygen reaching your muscles,” have been marketed as the latest in a stream of innovations to get the most out of your workout. It’s reached a point where the workout itself seems less important than the things you do to your body before and after exercise. This isn’t a coincidence. The industry of health supplements is booming, largely because the research claims for most of these products aren’t as thoroughly proven as we have been led to believe. Since it’s difficult for sports scientists to find athletes who are willing to disrupt their lives to participate in large experiments, most studies are conducted with 10 people or fewer. The statistical analysis methods used in sports science to make up for these smaller sample sizes were proven late last year to actually undermine the credibility of the results. There’s a much higher likelihood that these studies find beneficial effects for substances that other, more rigorous methodology would not — because the effects are either too trivial or are false positives. Still, the promise of a magic pill or powder that will help you gain muscle faster is much more tempting than the boring truth: that exercise, rest, and a healthy diet will work best for most people. And so, the health supplements industry is raking in the profits from people trying to cheat basic biology; in India, the industry is estimated to be worth Rs. 1000 crore by 2025. So, do any of these supplements actually work? 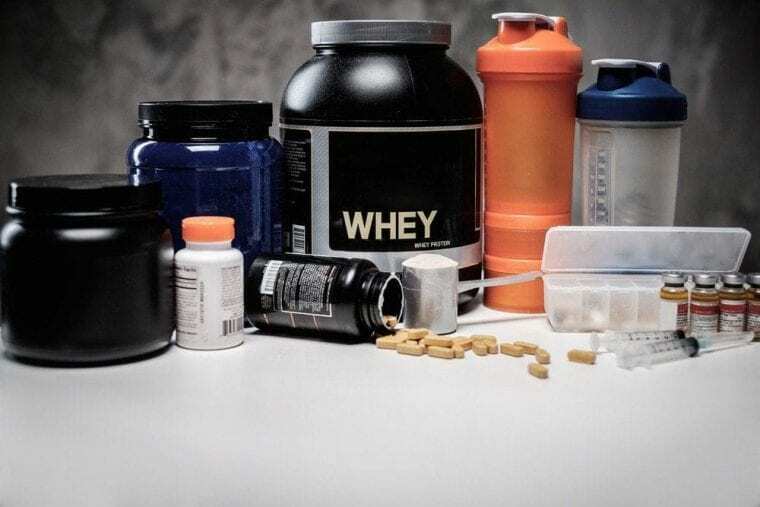 Experts will tell you that, for the majority of people who work out, sports supplements aren’t really helpful unless you’re a bodybuilder or an athlete who is pushing themselves to the limit during workouts. Instead, what these supplements do is give people the perception of change: pre-workout supplements can make people feel super charged by increasing heart rate, blood flow, and focus, but those are temporary physical effects that don’t necessarily translate into muscle gain. Out of the options that most people have at their disposal, caffeine has been found to help make workouts more effective. Studies show that caffeine tricks the brain into thinking the exercise is easier than it really is. If you want to get in a few more reps while weight lifting, or run for longer, then a caffeine kick before the workout will help. “It is the number-one performance enhancing drug. It works in everyone,” Keith Baar, an exercise physiologist at the University of California, Davis, told LiveScience. Creatine has also been proven to work, but only shows results for athletes. It’s the protein that muscles use during the first six seconds of any intense exercise. A component in most supplements, creatine needs to be taken every day to maintain adequate levels for improving results in exercises that last one to four minutes, as well as for reducing fatigue. However, the catch is creatine has no effect for people who aren’t working out towards exhaustion or muscle failure; if casual exercisers do feel any benefits, they’re likely just a placebo effect. The shoddy science of sports supplements is slowly being uncovered. Christie Aschwanden’s recent book, Good to Go: What the Athlete in All of Us Can Learn from the Strange Science of Recovery, is the latest in assessing what the health industry has been telling us and whether there’s any truth in it. Aschwanden concludes that the best thing to do is not necessarily to jump on the latest new fad in sports science, but rather, to learn to listen to your own body. I read about The Swaddle his morning in the local newspaper regarding winning an award. It drew my attention and decided to check the website. It’s my first day today and am thoroughly enjoying the articles which are well articulated, making reading very interesting.